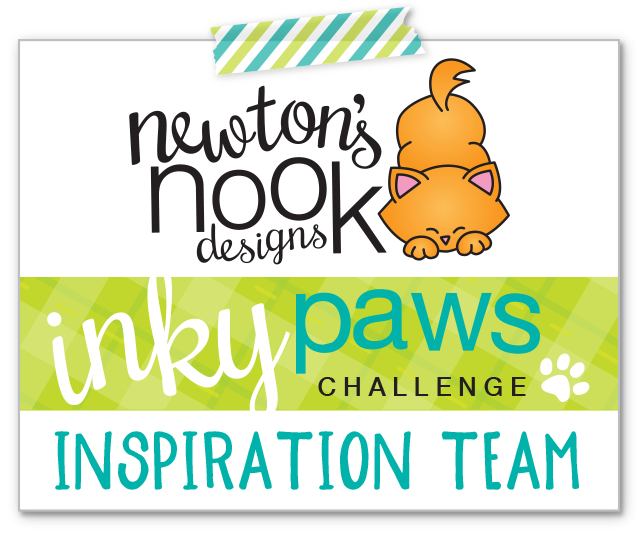 We have an awesome sketch for you to work with! October is such a fun month! It's my birthday month and of course it's Halloween time! 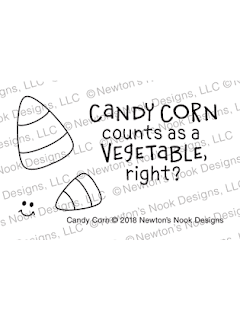 This sketch was perfect for my candy corn card. 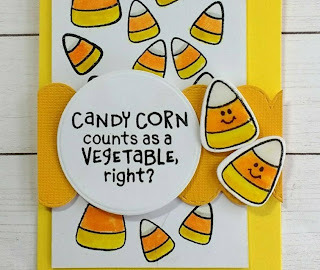 To make it even more interesting I would use only candy corn colors! The base card I decided was going to be yellow. my candy corns in a random pattern on white cardstock. and attached that to the base of my card. element of the sketch out of orange cardstock. The round element of the sketch became the place for my sentiment. large candy corn for the accent for the card. favorite Newton Nook Stamps and show us how you get your PAWS INKY. 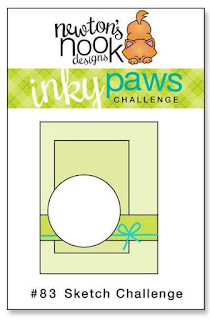 Thanks for stopping by links to the goodies below. So cute! I love the little wrap you added using the border die too!